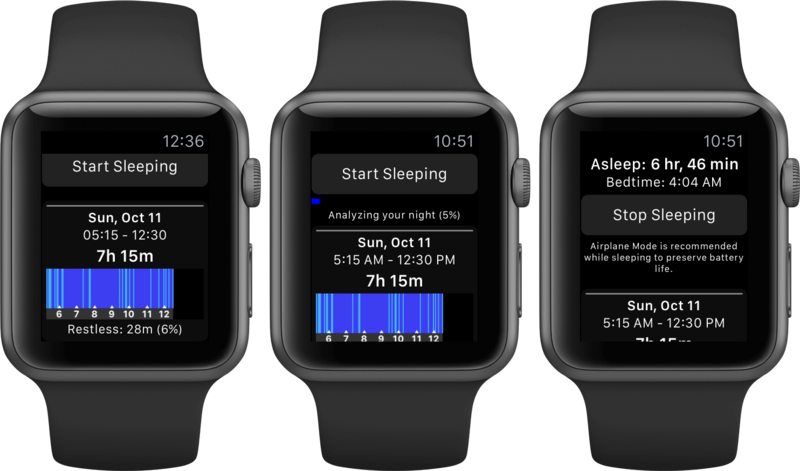 I was having high hopes ahead of the Apple Watch unveiling that detailed sleep analytics would be part of the headline feature set, based in no small part on the company’s hiring efforts in that field. As a blogger, my sleep is basically in disarray so I was keeping my fingers crossed that Apple’s wearable would benefit my rest. Much to my surprise, the device arrived without specialized sleep-tracking functions. 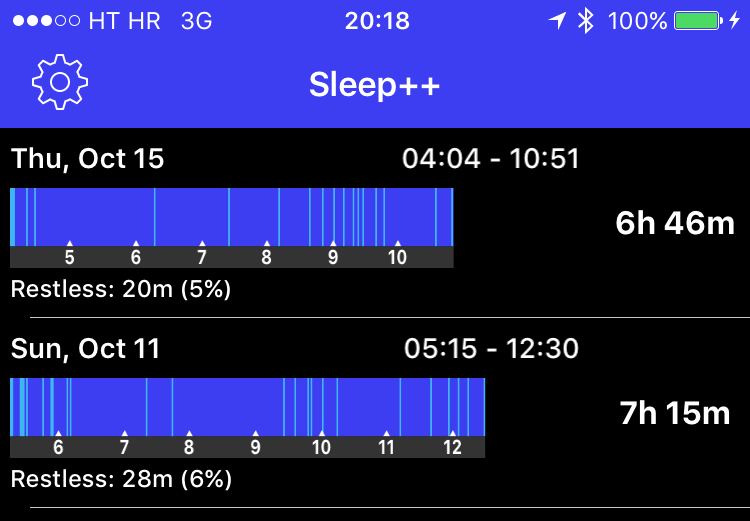 But thanks to developer David Smith’s nifty little app called Sleep++, I can now measure the duration and quality of my sleep thanks to the power of software. Sleep++ is straightforward, simplistic and stripped of bells and whistles. Just launch the app before nap time, hit the Start Sleeping button and enable Airplane Mode. The last part is important: in my personal experience, the app consumes between five and ten percent of juice time during a typical 8-hour sleep cycle. However, should your forget to disable Airplane Mode and leave Sleep++ running all night long, don’t be surprised to wake up to a dead watch as the app needs to constantly monitor your motion. As soon as you wake up, tap the Stop Sleeping button. That’s it—there are no other features, buttons or force touches. The app will then work its magic and analyze your movement during the night to create a handy chart of your sleep cycles. Of course examining detailed charts on a tiny screen gets old fast! That’s why you can also open Sleep++ on your iPhone for a detailed sleep breakdown on a larger canvas. You can easily see how well you slept and how restless you were, and remove individual entires by way of swiping on the row you wish to remove. 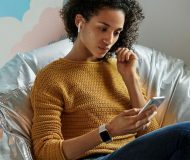 As the screenshots show, the app will calculate how long (in minutes) you were restless, which helps determine how soundly you slept and hopefully prompt you to make necessary lifestyle changes to benefit your rest. I won’t pretend that I reviewed countless hardware sleep trackers—I tested none. And I ain’t not sleep researcher either. With that off my chest, I can safely say that I’ve found Sleep++ to be convenient and very useful. This app derives sleep analytics from the motion tracking capabilities of your watch. It certainly won’t replace professional sleep analysis or complex feature provided by dedicated medical devices, but that’s OK.
For the mainstream consumer, however, Sleep++ gets the job done. Asa bonus, it’s especially convenient due to its integration with Apple’s HealthKit platform which allows for data logging and sharing (with your permission, of course) with other health and fitness software via the stock Health app. 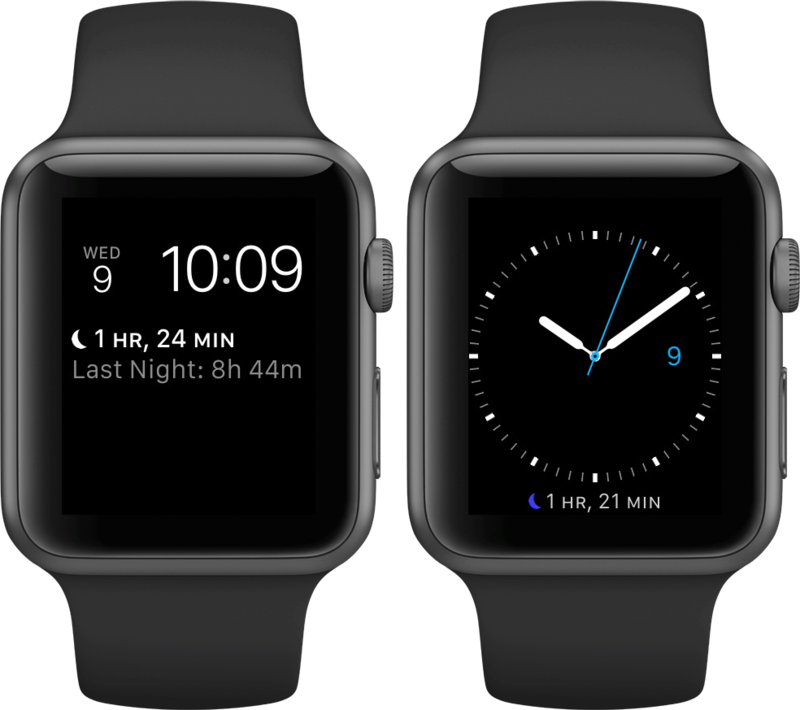 As it’s watchOS 2-compatible, Sleep++ includes a complication for a quick and convenient overview of your last sleep log as soon as you flick your wrist. If you need a no-frills app for sleep logging, this is it. In the absence of dedicated devices, Sleep++ beats manually inputting your sleep cycles into Health. My only quibble with Sleep++ is that it exports data into Health’s both designations of sleep time—’In Bed’ and ‘Asleep’—whereas it would be more logical to subtract the restless time from your In Bed time. For those wondering, Sleep++ creator David Smith is also the brains behind Pedometer++, one of the finest step-counting app, the powerful RSS reader called Feed Wrangler, the Emoji++ keyboard and many other apps you might want to check out. 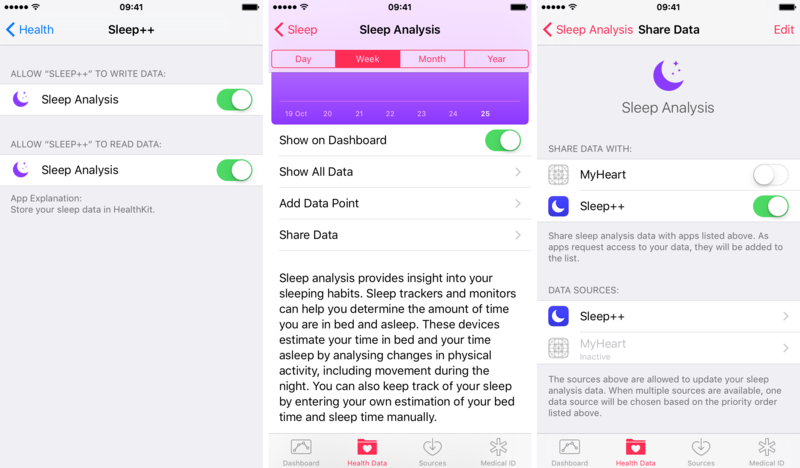 Sleep++ requires an iPhone with iOS 9.0 and Apple Watch. The app is English-only and available at no cost in the App Store so it should be a no-brainer. If you deem Sleep++ useful, please considering supporting the developer by removing advertisement with a one-time $1.99 In-App Purchase. Grab Sleep++ for free in the App Store.